Including personal possessions cover away from home on your house insurance can offer protection for gadgets, jewellery, bicycles, clothing, cash, keys and more. When you take out home insurance contents cover you'll have protection for your personal possessions at your residence, but will they be covered away from your home? In addition to traditional moveable goods such as jewellery, keys, clothing, bicycles and cash, we also have increasing numbers of expensive portable items, belongings such as mobile phones, tablets, cameras and laptops. Insurance cover outside the home can protect such things against loss or accidental damage when you take them out and about with you. Some home insurance policies will already include such protection as standard, so read the terms and conditions to see whether the cover meets your expectations and needs. More commonly, you need to specify if you require cover away from home and this will be an add-on to the policy. How do I buy cover away from home? When you shop for home contents insurance through Gocompare.com you'll be asked to estimate the total value of your possessions, then whether you need cover away from home for bicycles, laptops and/or any other individual items valued at £1,000 or more. If so, you'll be asked to to input further details of the items requiring cover. You'll then be asked to input how much cover you need for any other items away from home - note that any individual item included in this section must be valued under £1,000, even though the total sum covered may be significantly more. In the event of a claim, insurers usually apply a 'single article limit' to items. This is the maximum amount an insurer will pay for an item, and this may differ between item types as well as between insurers. Before you buy your cover we recommend you check that the limits provide sufficient cover for your needs. You can find this information in the policy summary. Also think about whether you need accidental damage cover for your contents, an option you can include in our quotes process. When you've finished answering these questions you'll see a handy table with a breakdown of the cover you've asked for which you can review before proceeding to compare quotes. What's not covered away from home? What else should I look out for? Should you think you need it, see whether protection is offered for goods that are taken abroad. Also look at whether a claim would affect your no-claims bonus. Are there any other options for cover away from home? Consider whether you already have cover that suits your needs through your bank account, your credit and debit cards, travel insurance, or any other policy you may have purchased. And ask yourself whether a dedicated gadget insurance policy may be the best option for some of the hi-tech goods that you carry around. While you should look carefully at all those options, it's possible that they won't offer the appropriate cover, or they may not be the most cost-effective way of managing your insurance needs. Also avoid doubling up on insurance - this can complicate claims and cost you more than you need to pay. If it's right for you, dedicated personal possessions cover away from home can be a valuable product to consider. 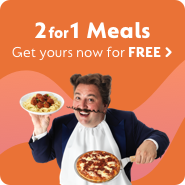 Gocompare.com Limited is authorised and regulated by the Financial Conduct Authority (FCA) for insurance mediation activity under firm reference number 465053. You may check this on the Financial Services Register by visiting the FCA website. Gocompare.com Limited is registered in England and Wales (Company No. 5799376). Registered office: Imperial House, Imperial Way, Newport, Gwent, NP10 8UH, United Kingdom. Gocompare.com Ltd. All Rights Reserved.